Many things have been discussed about the martial arts. But what are martial arts, at what it does really aim. We would like to make this into the theme as a generalization. Naturally enough, martial arts are not mere murder's technology. It is mere violence that kills an enemy indiscriminately and it is not martial arts. It is power what can stops an unnecessary war, and what can produces peace more positively, and what can corrected a enemy's fault. It is capability for which those who lead others are asked, and is also qualification for leading others. In the process, an enemy may be killed unavoidably. But the power cannot be acquired easily. It becomes possible to master only after there is preparedness to say that a lifetime is spent on training, and even if it carries out, there is no guarantee that it can be mastered. Until now, many predecessors reached to an extreme of a martial art, or it has died or suffered a setback during practice. Is there so much value in the power…? Of course! Even if it is not a status to the extent that others can be led, the power is needed in order to protect load that has the qualification. The means for realizing the desire to protect someone is martial arts. It is not wrong to ask for the strength in which it never loses. But, any meaning cannot be found out only by pursuing it. No meaning is accomplished even if it has power without the purpose. Then, the acquired power is violence and is not martial arts. On the present age, various sports combative are broadcast and many people are watching this on television. What person understands the facts? Although a violence incident (especially domestic violence) and murder case just goes on and on, isn't the heart cracked even if it uses violence on its important person? Moreover, do they understand what “killing people” is meant? The present Japanese can consider as if they had left preparedness and pride for the samurai to have had once. Although always moving forward is also important, we should look back in order not to miss an important thing. Martial arts are the help. Probably, anyone has those who want to protect at the sacrifice of their life. I want many people to get interested in strength in a true meaning taking advantage of this blog. Although it is a childish text in awkward English, thank you for reading that all the way through. On the present age, martial arts are inherited all over the world in various forms. 近接格闘技(Close Quarters Combat) meet the original purpose of the martial arts. Close Quarters Combat: CQC is a fighting way currently trained as combat technology by the militant group. Unlike the general sport combative technique, CQC is a technique which a military man uses in a battle field, and it aims at an enemy's murder. It is contrive so that it can master for a short period, and systematized techniques consist of simple but effective work, are the feature common to this in general. The reason why such a common feature is seen is in an army, there is the necessity of heightening a member's fighting power in the limited training period. In a crack unit, the contents trained differ from a general unit in many cases. While advanced murder technology is trained in a crack unit, in many cases, a general unit remains only in formal basic work. So let’s see some typical examples. First, 自衛隊格闘術(combat skills of the SDF). 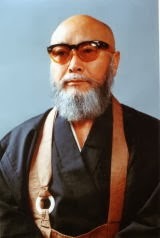 It based on the Japanese Kempo, and it consists of contents which took in the throwing techniques of judo and sumo, and the arm barring techniques of aikido. It was changed into the thing of new contents from 2008. 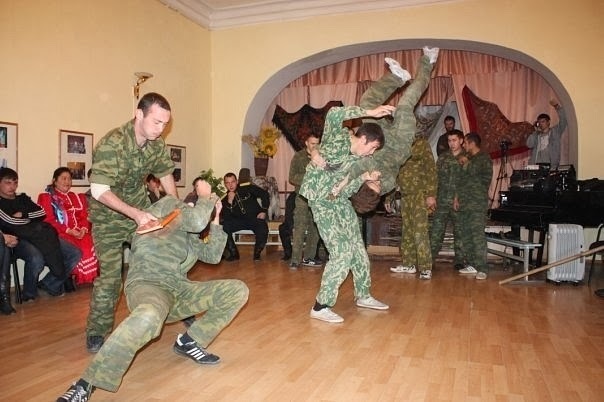 With the contents in which training of a martial art color in the SDF is strong, many of Self-Defense officials applied their unit's pride, and they were striving for combat skill of the SDF. Second, アメリカ陸軍格闘術(Modern Army Combative). This is a CQC currently trained by the general unit of the U.S. army. Since a change is made repeatedly until now, the contents change greatly with time. 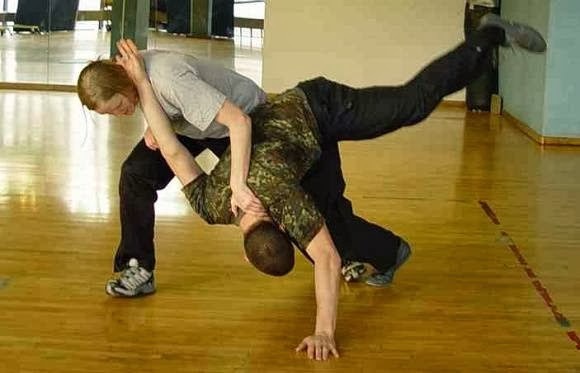 The present U.S. army combat skills are "Modern Army Combatives" adopted in 2002. This is a combat skills witch focused on 組技(kumiwaza) and Matt Larsen devised. Finally, Systema. This was founded by Mikhail Ryabko. In connection with Soviet breakup, the whole picture of many Russia martial arts once wrapped in the mystery was clarified one after another. One of them is Systema. Today, various organizations, such as Special Forces of Russia, and the Russian Federation National Security Board, have introduced Systema now. The race martial art in which existed from its Kiev grand duchy days serves as the origin of this. Many offensive and defensive technologies about weapons are incorporated. There are martial arts with increasing murder capability as it passes through a time. Is this a figure of the ideal of a martial art? There are some martial arts different from what has been inherited from old times. That is called present age martial art contrasted with old martial art. This time we will introduce two present age martial arts. First, take up about 合気道(Aikido). Aikido is the martial art which 植芝盛平(Morihei Uesiba) created from the Taisho last stage to the first half of Showa. 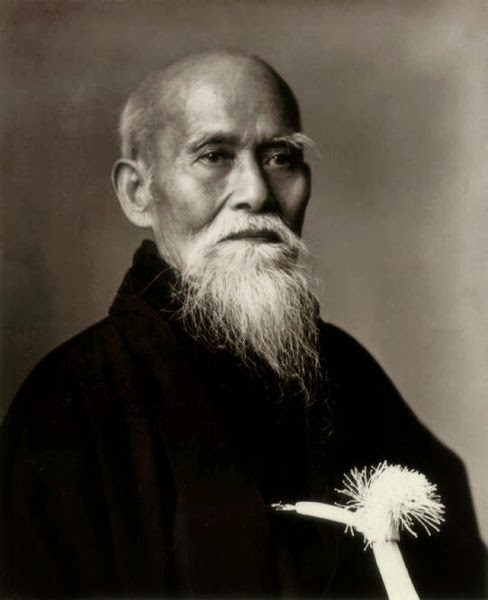 Aikido is the comprehensive martial art which he studied the martial arts of Japanese ancient times, and summarized by original moral philosophy and which is mainly concerned with hand-to-hand combat. In aikido, neither the physique nor physical strength is related by employment of the rational body. Moreover, it makes possible to control with throwing techniques and hold down techniques, without wounding an enemy. There is no game and there will be no strict custom which was standardized by the whole Aikido except for minimum manners. Aikido is thinking spiritualism as important compared with other martial arts because the strong intentionality to the mental world is reflecting his character. The work of Aikido is the comprehensive martial art which including the hand-to-hand combat way and the arms way also in opposite a lot of people. However, there is little percentage of the instructors who can teach arms way, in fact, and the case where only a hand-to-hand combat way is taught is the most. Second, take up about 少林寺拳法(Shorinji Kempo). Shorinji kempo is the martial art which 宗道臣(Doshin So) created in early stages of Showa in Japan. It is the systematized techniques which studied and compiled various kinds of hand-to-hand combat into one work. Shorinji kempo has the feature in having the side as martial art which self-trains with a fist, and the side of the social education activity which performs moral culture and character building. Shorinji kempo is a line of a religious sect and stands on the viewpoint that it is not mere martial art or sport. It has taken the self-training method which aimed at strong body and tough soul based on the original instruction. Moreover, it is the feature that Shorinji kempo has taken the form of the harmony which is not looked like others. 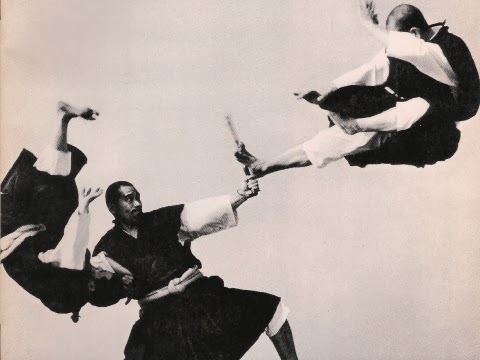 The work consists of techniques: the offense and defense of a kick and a trust, throwing and arm barring techniques, and the techniques called 圧法(Appo). A game looks at neither an attack nor a counterattack, but thinks that the degree of training of tactics, and manners and etiquette are important thing. On January 9, the person who led the whole life filled with passion left this world. So, I would like to look back upon the life filled of his ups and downs, and to consider it as mourning to him. He was born in 1934 in Newark, New Jersey, and he went to Barringer High School. He won a scholarship to Rutgers University in 1951, but a continuing sense of cultural dislocation prompted him to transfer in 1952 to Howard University, which he left without obtaining a degree. When he moved to Greenwich Village working initially in a warehouse for music records in 1954, his interest in jazz began. And it continued up to now. He was a famous person in the United States as music critics about jazz, a poet, a writer, a radical black thinker, and an activist. He was a person who has so far considered the way of life which goes up to subject as something. He supported ardently Barack Obama who ran for the President, and threw the boos of the blame which went too far at the black left wing which takes an attitude critical of the candidate Obama, and became the center of attention. It is a problem which is worthy of this considering carefully why he who knows all about United States and the black problems of the United States has made a mistake in the judgment about Barack Obama. When U.S. carrying out armed attack to Libya, he announced the poetry make a charge against Obama. It just mourns over the heart by his too early death. May his soul rest in peace. Although the history of the martial arts was sometimes taken up several times in fragments until now, it was rare to consider the history itself. So this time, we will consider the history of Japanese martial arts in more detail. There are two main themes. First, the history of 剣術(Kenjutsu). In ancient Japan, use of iron swords was the fountainhead of military superiority. First Kenjutsu school in Japan called 関東七流：the Kanto seven style (東国七流：the east country seven style) was born to 常陸国鹿島：Hitachi-no-Kuni Kashima (現代では茨城県鹿島市：At the present age, it is Kashima City of Ibaraki Prefecture) in the middle of the period of ancient burial mounds. Seven Shinto priests spread Kenjutsu transmitted from old times mainly by the east country. When the middle of the Heian period came, the technology for offending and defending with a sword and, killing and wounding an enemy, that is to say, Kenjutsu was established at these days. 京八流(The kyou eight style) was produced in 鞍馬山(Kurama-yama) in Kyoto in the late Heian period. Both 京八流(the kyou eight style) and 関東七流 (the Kanto seven style) became the mother's body of many schools. In those days, Kenjutsu was not important for the samurai because Shinto priests shoulder 関東七流(the Kanto seven style) and Buddhist priests shoulder 京八流(the kyou eight style). The samurai of the Kamakura period thought archery and horsemanship as important, and Kenjutsu was not much important. The hand-to-hand fight using a sword or a spear came to arise from the Muromachi period to the Warring States period: It is the full-scale appearance of the art. However, Kenjutsu was a kind of the "military tactics" which is the synthetic combat technology in a battlefield, because the edged tool with long reach (e.g. a spear, a Japanese halberd) was used in the hand-to-hand combat, having given priority. 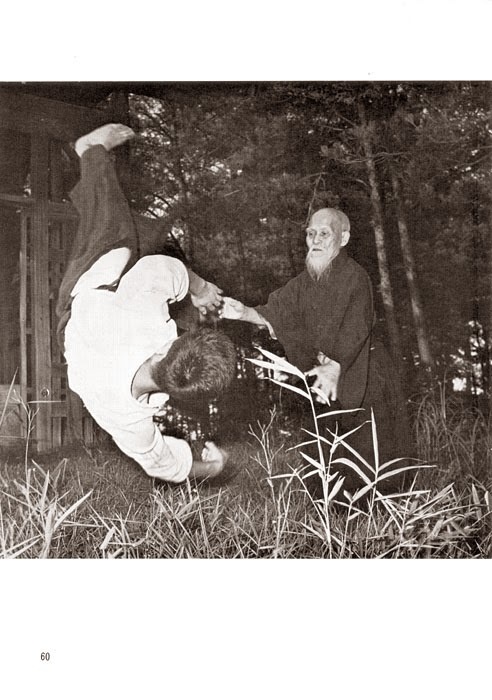 When the Azuchi-Momoyama era came, the Kenjutsu on condition that it use in everyday life became the mainstream. When the Edo period came, the Kenjutsu developed greatly, and the school exceeded 700. The game with the wooden sword which casualties produce was forbidden by the government. Then, the bamboo sword and the protector were invented, and while securing safety, it came to play a game. This is an incident worthy of mention that the farmer and townspeople who are the non-samurai class came to study Kenjutsu. Kenjutsu was made unnecessary by the modernization campaign and the Europeanism policy by the Meiji new government and, it declined. The 大日本武徳会(great Japan Butoku meeting) was established for the purpose of promoting Japanese martial arts in 1895. After it, the school art of Kenjutsu formed present age kendo. 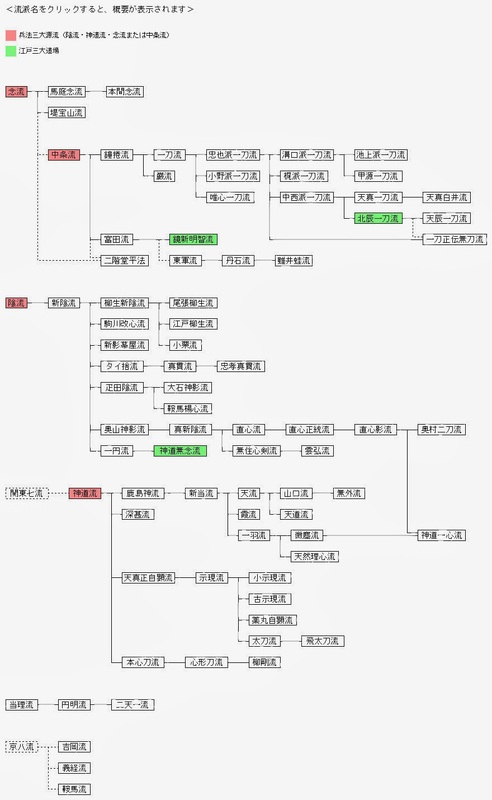 Second, the history of 柔術(Jujutsu). The oldest origin that can be checked is 竹内流(the Takeuchi style). Jujutsu is the name after the Edo period comes. Therefore technology of 組 討(kumiuchi) in a battlefield and The art of self-defense using the knife by a samurai and Sumo and the arrest way, the arresting rope way for maintenance of public order, are the origins of jujutsu. When the Edo period came, such technology will develop, and the school called jujutsu began to appear. 講道館柔道(Kodokan judo) was created by Meiji Era. As 講道館柔道(Kodokan judo) spread all over the country, Jujutsu judo-ized in the second half of Meiji era. Taisho to Showa era, Jujutsu declined since many successors were killed in war by the Second World War and martial arts prohibition was carried out by the GHQ instructions after defeat. Today while old style Jujutsu further declines, there are schools which revive gradually. December 5, 2013, the one great leader: Nelson Mandela left this world. Many great achievements which he accomplished are deeply engraved in people's memory. We would like to show the condolence and respect for him this time, and to look back upon his wonderful life. Nelson Mandela was born on 18 July 1918 in the village of Mvezo in Umtata. After graduating from Methodism groups mission school, he entered in the University of Fort Hare in 1939. He was expelled from the university in 1940 because he led the student strike. He participated in African National Congress in 1944 and he came to tackle antiapartheid movement. Therefore, he was arrested on August 5 1962. He became life imprisonment by the national treason and was imprisoned in Robben Island. This imprisonment reached in 27. He became respiratory ailments including tuberculosis at this time, and hurt his eyes according to hard work. But he continued study during imprisonment, finished the correspondence course of the South Africa University in 1989, and acquired the bachelor-of-laws number. The situation improved by having conferred with President Frederic De Klerk in December, 1989. In 1990, he was released at last on February 11, 1990. 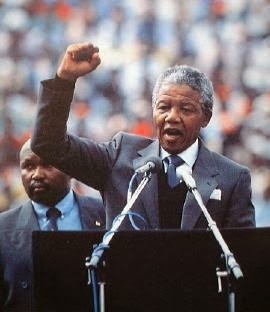 He abolished apartheid in June, 1991 and won the Nobel Peace Prize with De Klerk on the following day, December 10, 1993. The first complete-man kind participating election in the history of South Africa was carried out, and, as a result, Nelson was inaugurated as the President. He hand over the chairperson’s post to Thabo Mbeki (the Vice-President), and retired from the political world in December, 1997. After retirement, a prostatic cancer was discovered from his body in July, 2001, and he underwent the radiotherapy for seven weeks. Although he recovered, he stopped appearing at a public place in 2010 and afterwards. For advanced age, his decline beginning to be visible to the body, and he was hospitalized in the hospital of capital Pretoria on December 8, 2012 for the infection of a lung. On April 6, 2013, since condition had improved, he left hospital. However, condition got worse from June, 2013, infection was made to recur, and it became hospitalization from June 8. Then, his condition was stable and the 95th birthday came around in the sickroom on July 18. But, he died at the house in Johannesburg on December 5 (predawn on Japan Standard Time the sixth), 2013. Age at death was 95 years old. Many people in the world lamented his death, and the leader of each country attended the memorial ceremony. Although Nelson Mandela’s life met with many difficulties, he pierced through the ideal, and achieved the aim without ever being discouraged. His image impressed the person in the world and produced many hope. We pray his soul may rest in peace and appears again a person like him. There are many martial arts over the world. Some made in ancient times, others made in these days. And there use various original weapons. This time we will consider this theme from some point of view: weapons, armors, religion, technology and so on. First, let’s consider from weapons. “The swords were not effective weapons in the battle field,” is common view throughout the world yet, swordplay have not been out of use. In Japan, people prefer lightweight both-hands sword but in Europa, people prefer long and heavy both-hands sword: the length of this is two meters and the weight is twenty kilograms. It is almost impossible that a people who have average Japanese's physique swing the sword. The art of sword of the German district it progressed in the direction of having struck the enemy by the weight of a sword. Therefore, the length of the sword was extended increasingly. But from around the 16 or 17th century, in the Italy district, footwork was added and it came to use a sword single hand. The art of sword changed to today's fencing. Second, consider from armors. In Europa, the defense power of armor was going up by progress of technology, and edge became difficult to pierce the armor. So European like both-hands blunt instrument without using a shield. On the other hand, when the defense power of armor was going up by progress of technology, Japanese sword smith made more outstanding sword. It could pierce the armor. The difference in this way of thinking is very much interesting. Finally, consider from technology. In the present age, it seems that Eastern martial arts (Judo, Karate, kung fu, etc...) are well-known and popular. For, it is taken up by media in various forms. In the West, put firearms to practical use in the early stage. Consequently, the armor became meaningless and dramatic changes arose in tactics. Although the sword remained as an object for courtesy, the art of fencing hardly developed. But, wrestling and hand-to-hand combat work was mainly developed and improved by an army, and it became popular on a movie or Olympic. What kind of martial arts are or were you playing?